it's important to watch what you say and when. 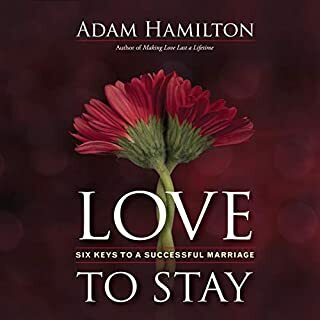 Adam Hamilton explores how, with God's help, we can make love last. 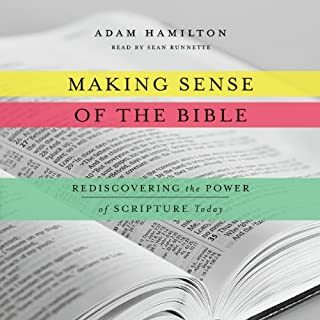 Drawing upon a survey of thousands of couples and singles, interviews with relationship and marriage therapists, the latest research in the field, and wisdom from the Bible, Hamilton looks at what it takes to create and sustain healthy, meaningful, and romantic relationships across the course of a lifetime. There is nothing more crippling than holding on to anger. Anger, more than any other emotion, has the power to consume all aspects of our lives, distort our sense of purpose, and destroy our relationship with God. 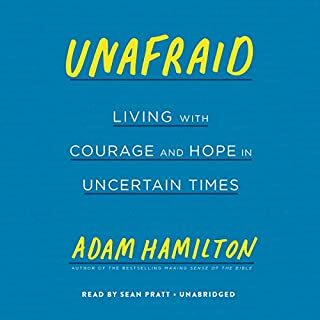 In the passionate and life-changing book Forgiveness: Finding Peace Though Letting Go, best-selling author Adam Hamilton brings the same insight that he applied in the best seller Why? to the challenge of forgiveness. Money has great power in our lives. Used wisely, it is one key to accomplishing our goals, providing for our needs, and fulfilling our life purpose. In recent years, many of us ignored the wisdom of the past when it came to managing and spending our money. Credit card debt soared, savings rates plummeted, and our home equity became something to be tapped into and spent rather than a source of security in retirement. We felt an insatiable desire for more. And we found ourselves spending tomorrow's money today in order to have what we hoped would satisfy. 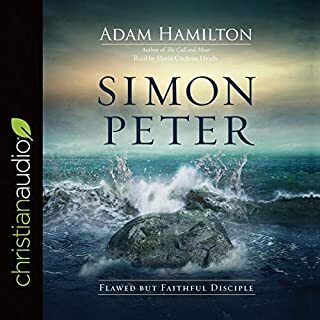 Travel with Adam Hamilton as he retraces the life and ministry of Jesus Christ. 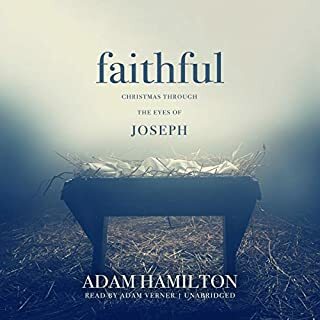 Once again, Hamilton approaches his subject matter with thoughtfulness and wisdom, just as he did with Jesus' crucifixion in 24 Hours That Changed the World and with Jesus' birth in The Journey. Listen to The Way on your own or, for a more in-depth study, enjoy it with a small group or part of a 40-day church-wide emphasis during Lent and Easter or anytime of the year. In life and in death, Jesus’ words were powerful and meaningful. Despite the serious effort and increased pain required for Jesus to speak as he hung on the cross, Jesus spoke seven "final words" statements that have much to teach us about Jesus, his Father, and ourselves. They are simple phrases. They sound Christian - like something you might find in the Bible. We've all heard these words. Maybe we've said them. They capture some element of truth, yet they miss the point in important ways. God won't give you more than you can handle. Not deep, but solid needed message. Author thoughtfully explains why certain sayings have negatively influenced Christian thought and honestly explains why some of these sayings can be personally hurtful to others and to oneself. Found some application in my work when I deal with those who lost a loved one. I found this book to be honest and thought provoking. Even if you don't agree with all that is said, it is important to listen to others' points of view. it has changed my thought processes as a middle aged believer. All Christians should read this! 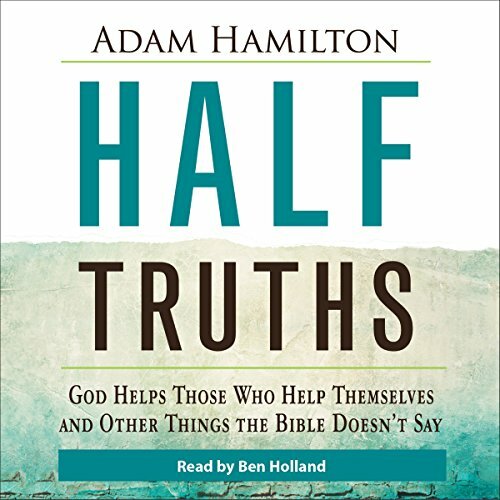 Adam Hamilton shares his gift of discernment in a clear, loving, non-"preachy" book. See scripture in a new way! Have your bible ready and your life will be changed in a beautiful way. This made me rethink what I have heard my whole life and have even said myself. 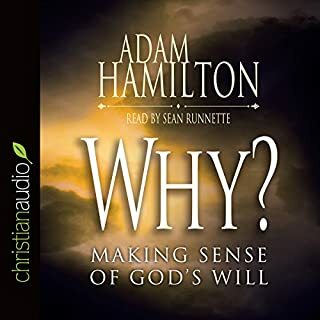 It was a difficult lesson, but I thank the author for making me think through the fallacy of these statements that run counter to the very foundation of my faith. Excellent! Now I need to listen to this again with a more open mind.